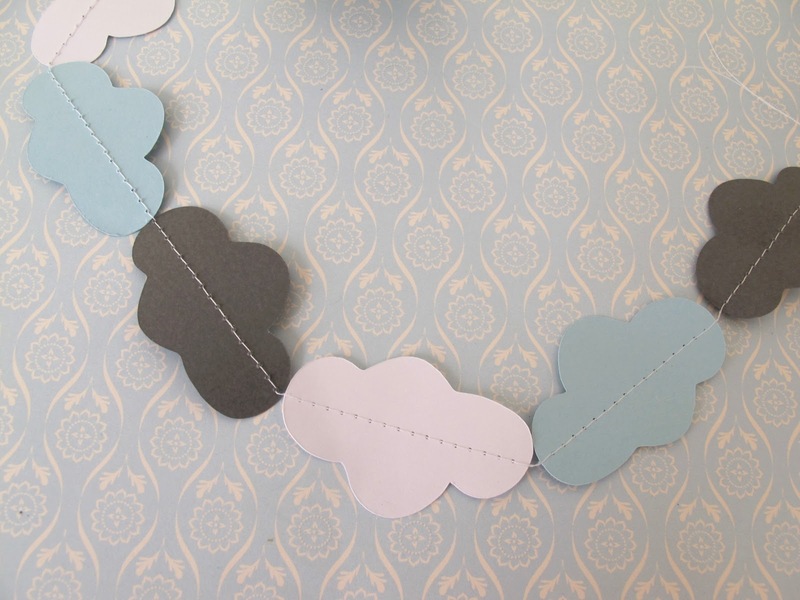 Last month, I saw this really cute cloud garland on Etsy, by GenTerro. 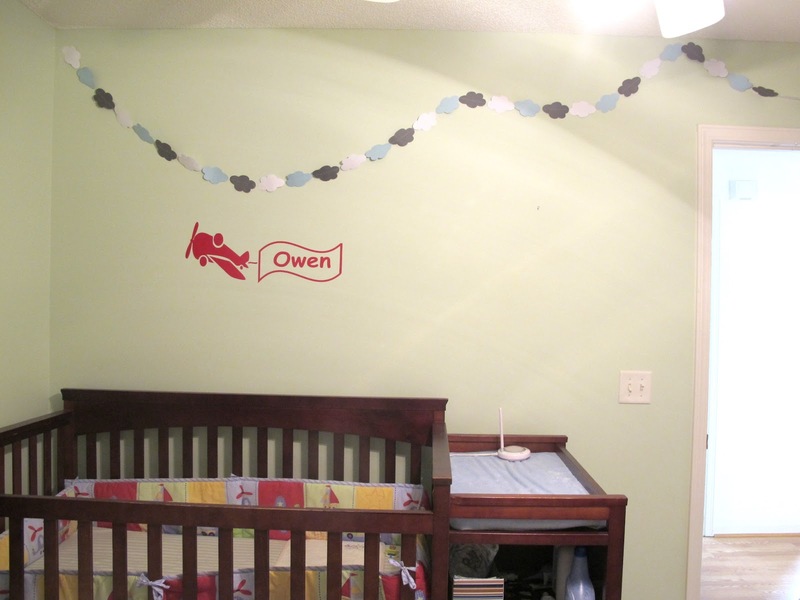 I decided a garland like that would be perfect for Owen's air plane room. So, I made a couple of my own, and I love them. 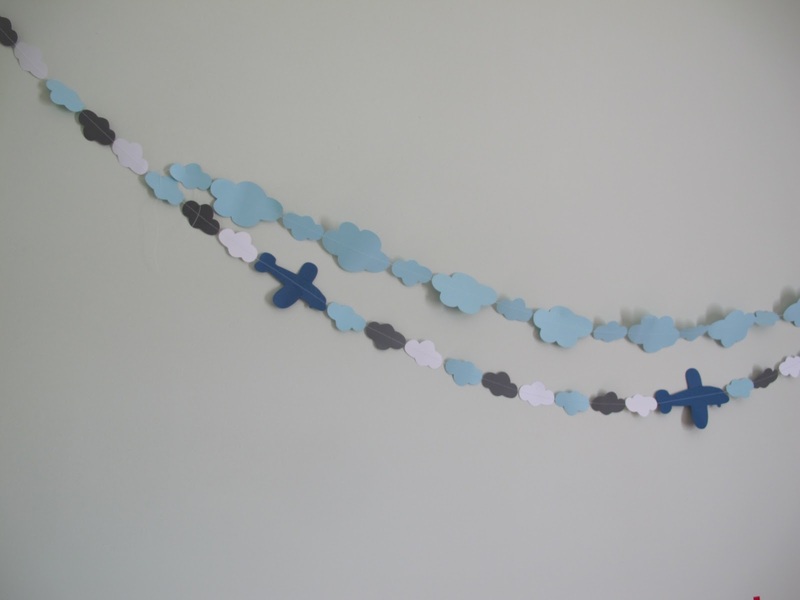 I made one with big clouds for Owen's room, and little clouds and 2 air planes for Ande's room. I used my Cricut to cut out the cloud shapes and then just sewed them all together! They were so easy to make, I think I'm on the verge of going garland crazy...but I suppose a garland in 2 bedrooms is already enough.